I met a few grad students at my local cafe today and we got to talking shop– not thesis shop, but teaching shop. It was great. This renewed my conviction that I need to spend more time listening to teachers talk about teaching. As this blog shows, I’ve been doing some academic research on teaching, but academic writing can just be so dry, so very, very dry. Yes, it is informative, and sure, it can even be inspiring, but research on teaching and learning can also be totally, completely and undeniably dryyyyyyyyyyyyyyyy. Consequently, journal articles don’t always quench that thirst for community a solitary grad student like myself might so desperately long for. So, it’s time for show and tell. Would you please share here a favourite blog or blog post on teaching, learning, pedagogy, grad-student life, faculty woes, university politics, or whatever catches your fancy? It would be so very much appreciated if you do. 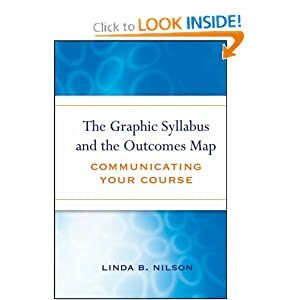 I’ll go first: Check out Maryellen Weimer’s post on FacultyFocus.com about using concept maps in your syllabi. If, like me, you’ve always thought syllabi were simply instruments of discipline–somehow written in such a way as to excite both terrible boredom and stark fear–then Maryellen’s post will give you some insight into how syllabi can actually be teaching tools. Crazy thought, eh? So once again, I welcome your comments and any links you might want to share.